Another magic circle partner is to join Latham & Watkins in London, as it sets its sights on winning work in the infrastructure M&A market. Allen & Overy partner Conrad Andersen, who was promoted in 2008, is to join Clifford Chance partner Brendan Moylan at the US firm. The latter’s move was revealed yesterday. While Moylan joins the corporate practice, Andersen will be a member of the finance group. 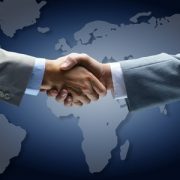 “We see a strategic opportunity to establish a top-tier infrastructure practice in London and Europe to complement our existing infrastructure M&A, finance, and project finance practices in the US, Asia, and the Middle East,” said Jay Sadanandan, Latham’s London office managing partner. The pair will be able to advise clients across the lifecycle of infrastructure assets, from acquisition and financing to refinancing and disposal. Moylan’s move reunites him with his former magic circle colleagues from Clifford Chance – David Walker, Kem Ihenacho and Tom Evans. Similarly Andersen will be making the same move as his former A&O partners, including Ed Barnett and Stephen Kensell. White & Case has drafted in two new litigation partners from Bryan Cave Leighton Paisner (BCLP) and Cadwalader Wickersham & Taft. International arbitration partner David Robertson has joined the firm from BCLP, while commercial litigation partner Steven Baker will also boost the practice after his arrival from Cadwalader. Baker – whose practice focuses largely on technology, communications, banking, financial services and commodities – leaves Cadwalader after less than two years at the firm. He joined Cadwalader from Bird & Bird in October 2016. White & Case partner and global executive committee member Oliver Brettle said: “Our 2020 strategy includes a focus on profitable growth in London, in our disputes practice and in the global oil & gas, technology and financial institutions industries. As we continue to take the fight to the magic circle, the arrival of leading partners such as Steven and David propels us forward in all these areas. The pair will join a practice which just two months ago was further bolstered by the addition of Addleshaw Goddard litigation partner Chris Brennan. 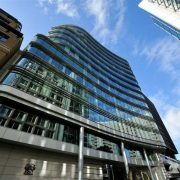 In January, it was also announced that Weil Gotshal & Manges former co-head of dispute resolution Hannah Field-Lowes would be joining the firm, underlining its intentions towards the UK litigation market. Data gathered for The Lawyer Global Litigation Top 50 2018 report showed White & Case had the 11th-largest litigation practice in the City. The firm boasted 114 lawyers last calendar year, posting a 6.5 per cent increase on 2016’s total of 107. Of that number 23 were partners, generating $89.1m (£68.9m) between them. Litigation funder Vannin Capital has hired Fountain Court Chambers deputy senior clerk Paul Martenstyn as managing director and he will join its London office this October. Martenstyn has spent the last decade at Fountain Court, joining in 2008 as a clerk before being named to his current role three years later. Prior to joining the set, he worked as a clerk for two years at Serjeants’ Inn Chambers and junior clerk at Hardwicke Chambers. It is not yet known who will succeed Martenstyn in the role, though the set has a number of prominent cases on currently including the recent expansion of its involvement in Robert Tchenguiz v Grant Thornton LLP & Ors. Vannin Capital CEO Richard Hextall said: “Having spent more than twenty years immersed in the world of chambers and litigation, Paul has established himself as a highly astute commercial partner. After launching in 2010, the funder established offices in both London and Paris. Vannin now boasts five offices overall with openings in Sydney (2015), New York (2017) and Germany (2018) adding to its initial locations. A cursory exploration of the hiring strategies of American firms in 2017 leads straight to Kirkland or Latham. Yet The Lawyer’s Top 50 US firms in London report shows the brouhaha around David Higgins eclipses other, equally targeted talent acquisitions. And arguably one of the most significant hires in the last few years has been not in private equity or leveraged finance, but in competition: namely, Ali Nikpay. Nikpay joined Gibson Dunn in 2013, having built his career at DG Comp and then the OFT. This week he was named as the lead competition partner for Asda, working aside Slaughter and May partners Sally Wokes, Victoria MacDuff and Nigel Boardman on the megadeal with Sainsbury’s. Linklaters was on the other side, with partners Nicole Kar and Simon Pritchard leading on competition. As co-counsel mandates go, it’s a plum job. And a US firm displacing the mighty competition department at Slaughter and May, no less, has not gone unremarked by City competition partners. “They’ll be bloody livid,” speculates one, with just the tiniest shade of glee. Despite the fact that Slaughters’ Bertrand Louveaux had advised Asda on the Competition Commission’s market investigation into the supply of groceries in the UK and on the OFT’s investigation into dairy products – including representing Asda before the Competition Appeals Tribunal – Gibson’s Nikpay nevertheless managed to get the call. US firms’ cheerleaders in certain sections of the press will no doubt heap yet more doom upon magic circle firms, but Nikpay’s success in getting through Asda’s door is down to a combination of specific circumstances. First – and this is where the network effect is a structural advantage – Gibson has a significant client relationship with Walmart. Washington DC partner Adam Vincenzo was lead antitrust counsel on Walmart’s $3bn acquisition of internet retailer Jet.com (cleared by the Federal Trade Commission in 2016) and on its 2017 acquisition of online retailer Bonobos. Nevertheless, what is more important is the specifics. As a deal precipitated by the threat of online retail, and in particular the faint rumble of Jeff Bezos’s tanks on the lawn, the competition elements of the Sainbury’s-Asda deal have attracted considerable notice from commentators. Nikpay’s success on a superficially different but nevertheless related retail sector is significant here; namely, the 2016 merger between Gala Coral and Ladbrokes, a transaction that had been on and off the table for years. That deal, between the then-second and third largest bookmakers in the UK, was hugely dependent on regulatory approval, with Nikpay’s arguments that the deal should be analysed on a local not a national angle, and also through the lens of online competition, winning the day. Plaudits abounded. Several partners note Nikpay’s can-do attitude: “Ali is Mr Positive,” says one. It won’t be a one-off. What is more than ever at stake is understanding the regulator’s outlook in a landscape where digital has changed the game, and in a world where after March 2019 the CMA will have a considerably extended remit, including ruling on state aid. Any hires from the regulator are all about getting insight into thinking; just look at the scramble for recruits from the enforcement agencies, the most recent being ex-DPP Alison Saunders to Linklaters. “The way the CMA and Commission look at markets doesn’t stand still,’ says one competition partner. ‘Some firms tend to go back to old cases to apply an existing methodology, but the CMA is constantly evolving its ideas.” The traffic between private practice and competition regulator is not high, but it has produced some quality catches, largely for magic circle firms: Nelson Jung at Clifford Chance, Simon Priddis at Freshfields and Linklaters’ Simon Pritchard, who is currently on for Sainsbury’s on the Asda deal. Nikpay aside, the only US firm hire of recent times was Jonathan Parker, who joined Latham as a partner after a stint as director of mergers at the CMA – prior to that he was a senior associate at A&O. Private practitioners predict less traffic between private practice and the regulator in the near term, citing the internal restructure at the CMA that means that responsibilities are spread out between a larger number of team leaders, a move that is seen as partly defensive. “The CMA didn’t like one or two indiviudals having a huge amount of influence or being better known,” says one partner. But back to Sainsbury’s. Once Slaughters partners have recovered from their internal lament at missing the deal of the year, they will have some work to do to make sure no further ground is lost to the US. Once is unlucky, but twice would be a trend. DLA Piper has hired former Gibson Dunn & Crutcher partner Phil Crump and Kirkland & Ellis partner Doug Murning. Crump left Gibson Dunn at the end of last year without a new role, having joined Gibson Dunn from Kirkland & Ellis in August 2015. Crump’s move to Gibson Dunn had reunited him with former Kirkland colleague Stephen Gillespie, who co-chairs Gibson’s global finance group. Before joining Kirkland in 2007, Crump was an associate at Shearman & Sterling and trained in New Zealand in the late ‘90s at Russell McVeagh. 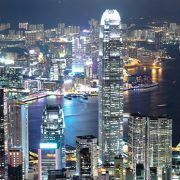 Alongside Crump’s hire, DLA Piper has also recruited Kirkland partner Doug Murning, who is based in Hong Kong. He will continue to work in Asia, though will initially split his time between there and London. 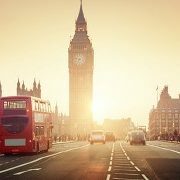 In his new role, will become head of DLA’s London leveraged finance team, advising on lender-side finance deals, special situations and deals for alternative credit providers. 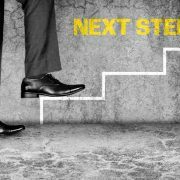 Earlier this year, DLA Piper hired Ropes & Gray London senior partner Maurice Allen as a consultant, who joined with a brief to develop the firm’s finance sector strategy. He reports to Charles Severs, managing director of practice groups and Jan Geert Meents, managing director of sectors and clients. 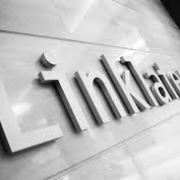 Linklaters is set to grow its restructuring team with the hire of Ropes & Gray partner James Douglas. Douglas is a member of the US firm’s special situations group in London, where he acts for clients including KKR Credit, Hutchinson Investors and TPG Special Situation Partners. moving to the city from New Zealand firm Minter Ellison Rudd Watts. He joined Ropes’ partnership in 2010, after moving to the city from New Zealand firm Minter Ellison Rudd Watts. 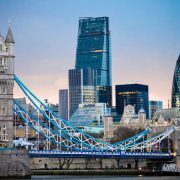 Ropes’ special situations group is one of the largest in the firm’s London office, with nine partners listed as specialising in restructuring matters. These include the group’s co-head Peter Baldwin, along with a number of other partners who also work in the firm’s private equity and finance groups. Douglas’ appointment follows a series of exits from Linklaters’ restructuring team – predominantly to Sidley Austin. 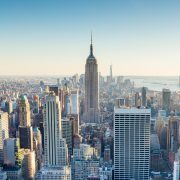 Quinn Emanuel has hired former Kirkland & Ellis partner and patent litigation lawyer Steven Cherny to boost its New York office. At Kirkland, Cherny focused on patent litigation in Federal Courts and the United States International Trade Commission. He has tried high profile patent cases involving IP in industries ranging from telecommunications, electronics and pharmaceuticals to financial and business methods and consumer products. Matthias Schemuth leaves firm after nine years for move to DLA Piper. 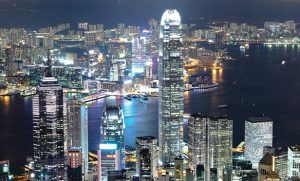 Ashurst has seen another departure from its Hong Kong office, with project finance partner Matthias Schemuth leaving for DLA Piper. Schemuth, who is joining DLA in Hong Kong, advises lenders and sponsors on projects in the oil and gas, petrochemical and mining sectors. In 2014, he led the team representing a consortium of Japanese and Korean export credit agencies and commercial lenders on a $2.8bn (£2.2bn) liquefied natural gas project in Indonesia. 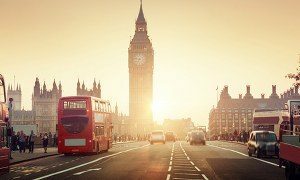 Olswang technology partner and former Asia head Rob Bratby is set to join Arnold & Porter’s London office ahead of the UK firm’s planned three-way tie-up with CMS and Nabarro. Bratby, whose practice focuses on corporate work in the telecoms, media and technology sector, was Olswang’s Asia managing partner from 2011 until earlier this year, when he returned to London from Singapore. 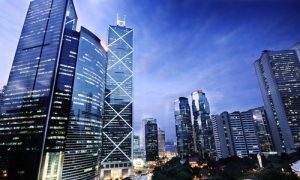 Sidley Austin hired three arbitration lawyers from O’Melveny & Myers, including partner Friven Yeoh, who was most recently the head of the latter firm’s Hong Kong office. Yeoh, who joined O’Melveny in 2009, was appointed Hong Kong managing partner last year. 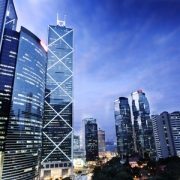 Following his departure, the firm has appointed Denis Brock to head his Hong Kong office. Brock joined from King & Wood Mallesons in 2014. Joining Yeoh are counsel Desmond Ang and Yan Zhang. This bolstering of Sidley’s litigation and dispute resolution department follows litigation head Charles Allen’s recent move from Sidley to Orrick, Herrington & Sutcliffe. In June, O’Melveny lost another Asia-based managing partner, this time in Shanghai. DLA Piper hired Li Qiang as well as counsel Stewart Wang.